If you’re one of the masses who is constantly connected to a smartphone, chances are you’ve either lost a charger to a hotel room or forgotten it at home on a crucial day, leaving yourself without any extra juice. The folks over at LPS Technology decided to create a simple and possibly annoying (but likely effective) device to help prevent either of those problems. The Perch device ($10) plugs into your wall just like an extra outlet; plug your phone or computer’s charger into the extra plug and whenever that device is unplugged (from the original charger), Perch will start chirping, reminding you to take your charging cord out of the device and take it along with you for the day. It sounds like it could be on the annoying side, but if the only way to stop the chirping is to take your charger with you, then we imagine this would be quite effective. If you are mostly worried about leaving your charger at home, maybe the $10 investment won’t seem quite as necessary, but if you’re constantly jumping from one hotel room to another, the chirping Perch device might prevent you from shelling out extra dough for new chargers every time you forget one. As an added bonus, the small device helps prevent wasted energy, as most charging cords will continue to drain electricity whether the device is plugged into them or not. 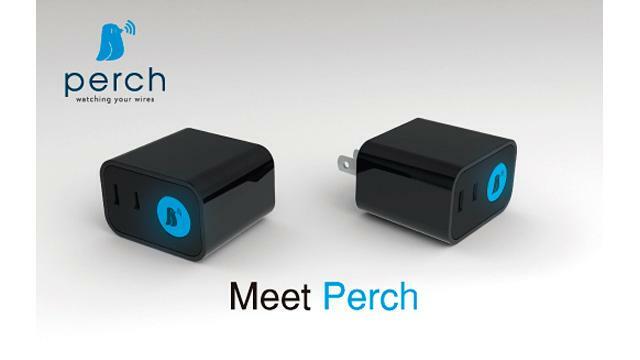 Once your charging cord is removed from Perch, the device won’t drain any more wasteful energy from the socket. It’s not the most advanced technology we’ve come across, but if we were traveling often, we would certainly pay the measly $10 to prevent leaving a charger in our hotel room never to be seen again. No word on availability yet, but the device will be shown at CES next week.